I’m sitting in a little bar called Delman in Praia da Vitoria, on Terceira island. 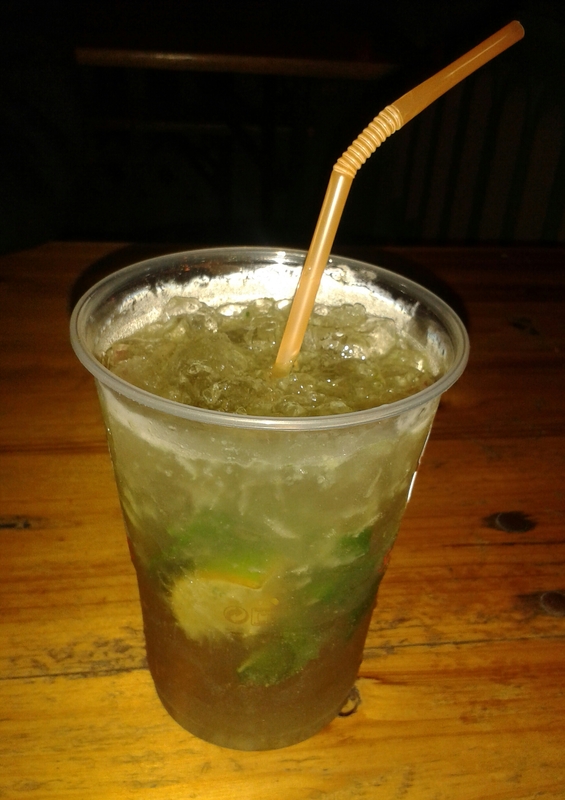 Drinking The Best Mohito In The World. It’s in a plastic cup but I don’t care. It is a wondrous drink of iced rumness and minty loveliness. Mixed perfectly by the lovely, friendly barman and it deserves a prize. It’s huge as well and cost 5€. The bar overlooks the sea. It’s dark now but I can hear the waves against the shore.